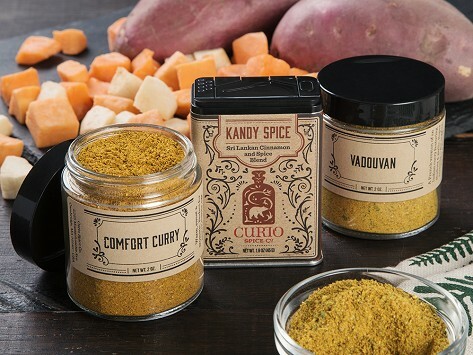 Spice up curry dishes with the signature curry spice blends from Curio Spice Co. They are made with spices directly sourced from growers and farms to ensure freshness and purity, and are packed with interesting flavors (cinnamon, ginger, and white pepper, anyone?) carefully selected to make these dishes shine. The set includes three spice blends and recipes for inspiration.